You are here: Home / Tips and Advice / How to avoid Epson L200 waste ink counters overflow? Hello there. 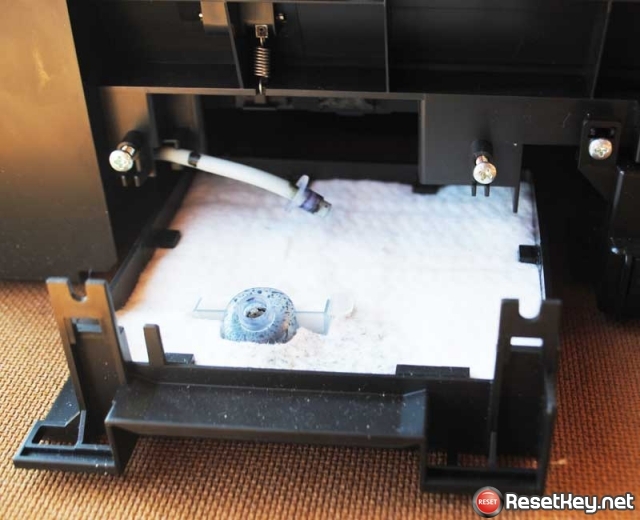 This post the best way to avoid Epson L200 waste ink counters overflow, how to repair Epson L200 End of Service Life message. You may have often seen the waste ink counter overflow on Epson printers or waste ink counter overflow on Epson L200 inkjet printer. We give you more information about this problem, tips on how to fix Epson L200 waste ink counter overflow and the best way to stay away from Epson L200 waste ink counter overflow once more with this page. You will also learn about the best way to detect waste ink counter overflow and the way to check waste ink counter number by using Wic Reset Utility Tool. What is Epson L200 waste ink counter overflow? Waste Ink Pads are a number of porous pads in the inkjet printer that collect, distribute, and also really importantly contain the ink that is not used on printed pages (Waste Ink). Whenever printhead cleanup process ink flush through printhead to waste ink pad. So once it may be overflowed because it could not absorb ink anymore then the ink are going to leak from the bottom of the printer. The printer counts how much ink flow to waste ink pad and then keeps this amount into printer’s memory ==> This number is known as Waste Ink Counter. 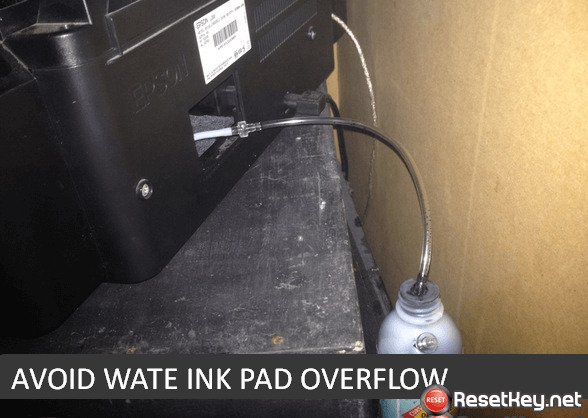 + So you can prevent ink leaking outside the Epson L200 printer the waste ink counter may be overflowed and then Epson L200 inkjet printer is going to stop. 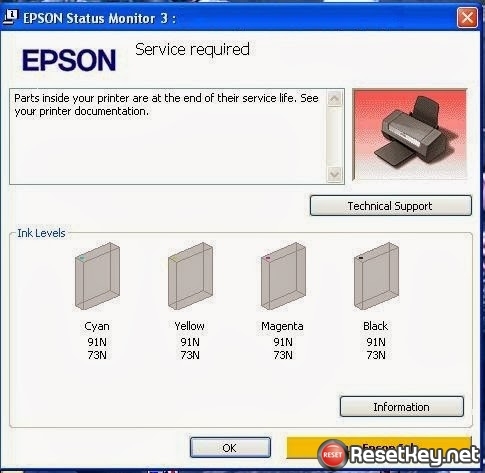 To get Epson L200 printer working again – You have to RESET the Epson L200 printer Waste Ink Counter (Read more to learn how to reset epson printer). How to know that your Epson L200 printer waste ink counter overflow? 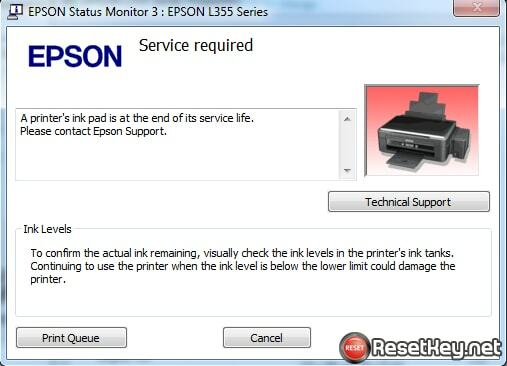 How to check Epson L200 printer waste ink pad is overflow or not? 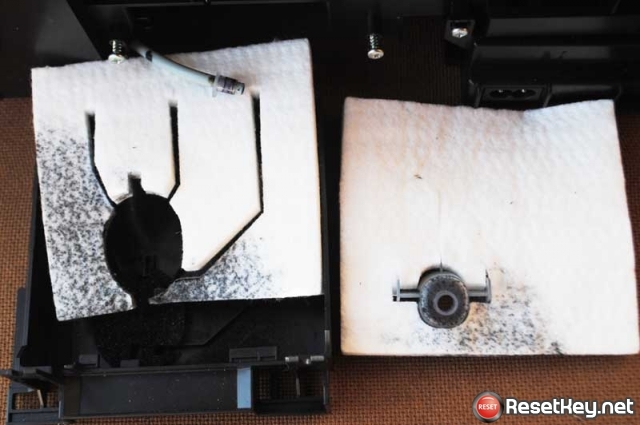 How to fix Epson L200 waste ink counter overflow? + Connect your Epson L200 printer to computer that you installed wic reset tool. How to avoid Epson L200 printer make “Waste ink counter overflow” error? During Epson L200 print head cleaning cycle – about 1.5-5% of waste ink counter is been used (the waste ink counter increases). Then if You make about 25-30 print head cleanings cycles => You can overflow the Epson L200 printer waste ink counter. – Different solution for high volume users may be to think about a higher level inkjet printer with a more robust duty cycle like the Epson Stylus Pro line of printers with larger ink cartridges and lower costs of use. Thank you for your seeing article “How to avoid Epson L200 waste ink counters overflow”.